Contact our dealership to see our lineup of trucks for sale. Get your custom lifted trucks from Rocky Ridge and enjoy the height of a vehicle that's always in beast-mode. Rocky Ridge Trucks are perfect for anyone who wants to enhance their GM trucks and SUVs. People choose Rocky Ridge Trucks fort heir upfit and conversion. Not only are then financially sound options, but they also meet all governmental and trade association expectations. Rocky Ridge offers an awesome warranty for components directly installed by their team, and it lasts up to 3 years or 36,000 miles! 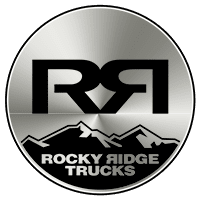 When it comes to Rocky Ridge, drivers can trust that they're purchasing custom lifted trucks from the best of the best. Every customized lifted truck or SUV assembled by Rocky Ridge meets a superior level of quality. There is no outsourcing during any part of the personalization process. The entire upfit happens in-house at any of their nine locations on a 26-acre campus. Every one of Rocky Ridge's facilities performs are a different part of the lifting process, to ensure perfection. Overall, your truck or SUV will pass through several stages of quality assurance. From beginning to end, Rocky Ridge Trucks handle every aspect of the design process, down to the last detail. Their guiding principles are that of trust, innovation, and pure quality. It's no surprise that Rocky Ridge is a go-to company when people need performance trucks and SUVs. Find out how you can access a custom lifted truck from Rocky Ridge Trucks in Adamsburg, PA serving central and south Westmoreland county by contacting us!